Are you looking to dress up your home décor with a stunning photo? Maybe you just want to introduce a pop of color to your living room or a unique accent to your bedroom. 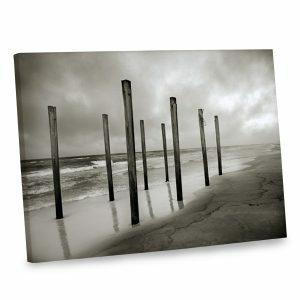 Our canvas photo art prints showcase a variety of dramatic, stunning photos that are sure to brighten up any room. 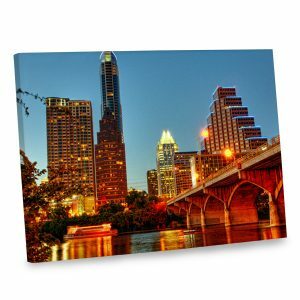 From beaches at sunset to photos of city lights at dusk, we offer a multitude of canvas photo prints everyone will love. 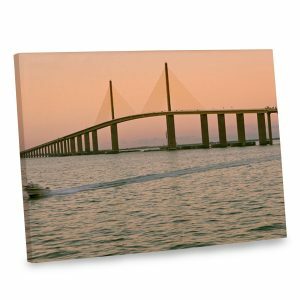 Whether you prefer simplicity or you like the look of traditional décor, our canvas photo art will make a great addition to any room in your home. Maybe your family room is in need of a little color. 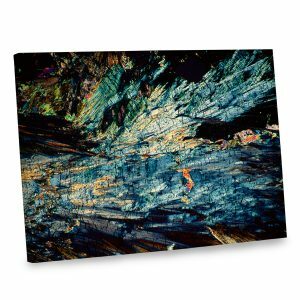 Our “Broken Fragments” canvas print has striking blue jewel-tones with an abstract look that will instantly boost the look of your living area. You can also pick from a variety of sizes that will fit any blank wall so that your new canvas will fit in with your existing wall décor. Does your basement recreation room lack windows? Transform it into a room with a view and choose a stunning canvas photo to hang on an empty wall. 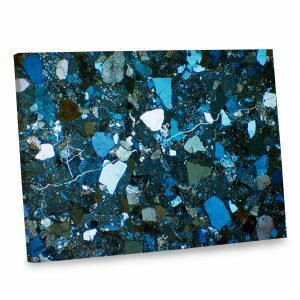 Go big with our 32×48 “Ocean Rocks” canvas and incorporate a tranquil feel into your basement den décor. 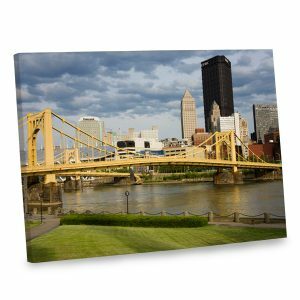 Boost your décor in any room around the house with a gallery wrapped edge canvas photo. Whether it features a city skyline or abstract colors, you’ll love how it adds a splash of character and color to the look of your home. Are you looking for a stunning gift for a loved one? 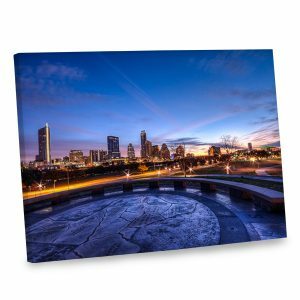 Whether it’s for a birthday, an anniversary gift or a thoughtful housewarming present, our canvas photo art prints are great for everyone on your shopping list. Everyone loves a stunning photo, and we have something for everyone. 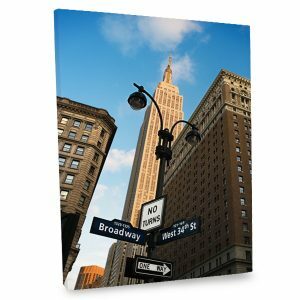 Choose a canvas photo that compliments your loved one’s style to a “T”. Maybe you are looking for a fun birthday gift for Dad. 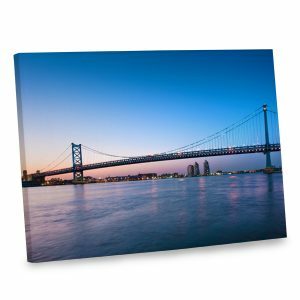 Peruse our various photo canvases and find the perfect print just for him. He can hang it in his home office to add a unique flair. 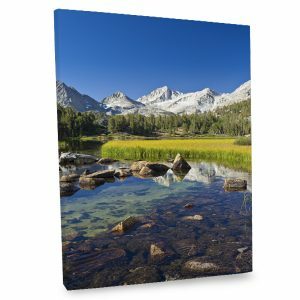 If he likes hiking and camping, our “Natural Falls” canvas photo is guaranteed to be a hit. Showcasing a tranquil waterfall in the forest, it will add a pleasant feel to his den or office décor. Perhaps you’re looking for a gift for a close friend. 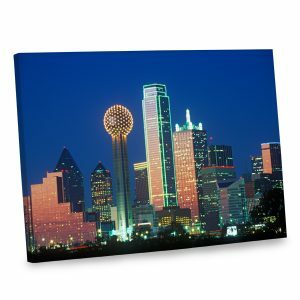 If she lives an urban apartment, we offer multiple city skyline prints that are sure to compliment her décor. 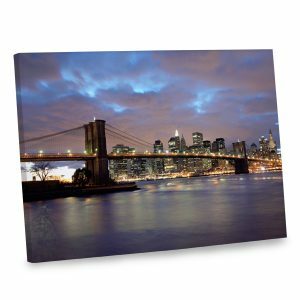 Our city lights canvas prints will add an elegant quality to any room, no matter the decorating style. Present it to your friend and they will love hanging it in their living area for a splash of color and character. 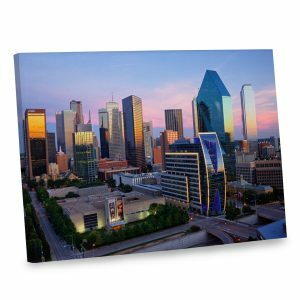 With our dozens of photo art on canvas options, you can find the perfect print that suits your liking. From nature and cityscapes to abstracts, we have something for everyone that is sure to fit in with their personality and style. 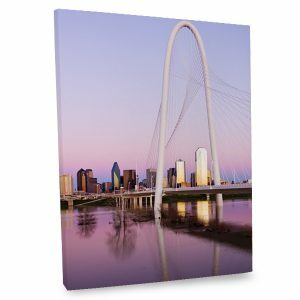 Just choose the photo you like best, select a canvas size and hang it once it arrives at your door. You’ll love how it will look and enjoy its exciting hues for years to come. With so many choices and options, you can add a decorative flourish to your décor that is sure to turn heads.